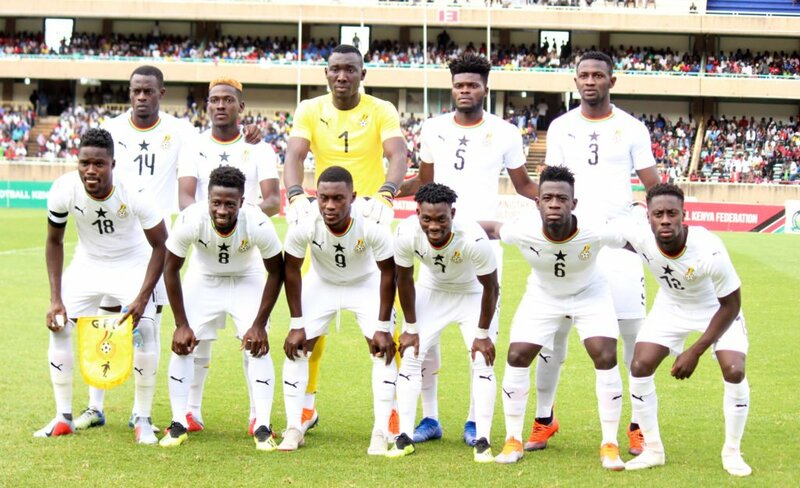 The Black Stars of Ghana capped off their 2019 Africa Cup of Nations qualifying campaign with a 1-0 win over Kenya to top of Group F, and also silenced the Kenya Federation president following his claim that Ghana have a misfit team to win the competition. In the build up to the match, Kenya federation president Nick Mwendwa fired a stinging potshot at Ghana, claiming that the four-time cannot end their 37-year title drought with players like 'weakling' Asamoah Gyan and Andre Ayew. However, Mr. Mwendwa's touch-talking seemed to have charged Kwesi Appiah's men as they dominated the Harambee Stars and deservedly beat them 1-0 in front of a mammoth crowd at the Accra Sports Stadium. A 83rd minute from debutant Caleb Ekuban was enough for the West Africa giants to pick the maximum points which also ensured they leapfrog their opponents on the standings. Ghana have not won the crown since they last did far back in 1982 amid several failed attempts to clinch a fifth crown. This year’s qualification makes it 22 for the four-time champions, two less than seven-time winners Egypt. Ghana joins former winners Egypt, Tunisia, Morocco, Algeria, Ivory Coast, and Nigeria at the finals. The draw for the group-stage is scheduled to come in April.